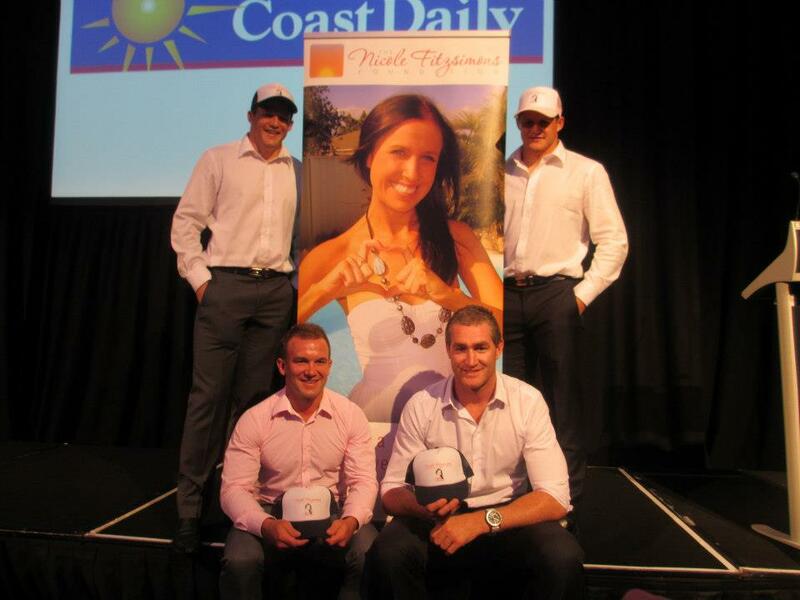 The Foundation had another amazing weekend up on the Sunshine Coast for the Men of League All Stars Charity Match and Gala dinner on Saturday 2 March 2013. Jamie was invited to play for the All Stars team along the likes of Mat Rogers, Scott Sattler, Chris Walker and Allan Langer against the Caloundra Sharks. Vince also managed to get an on-field role as the All Stars water boy. The All Stars ended up winning the game in very wet conditions. The smile on Jamie’s face after playing out on the field on behalf of Nicole was priceless. 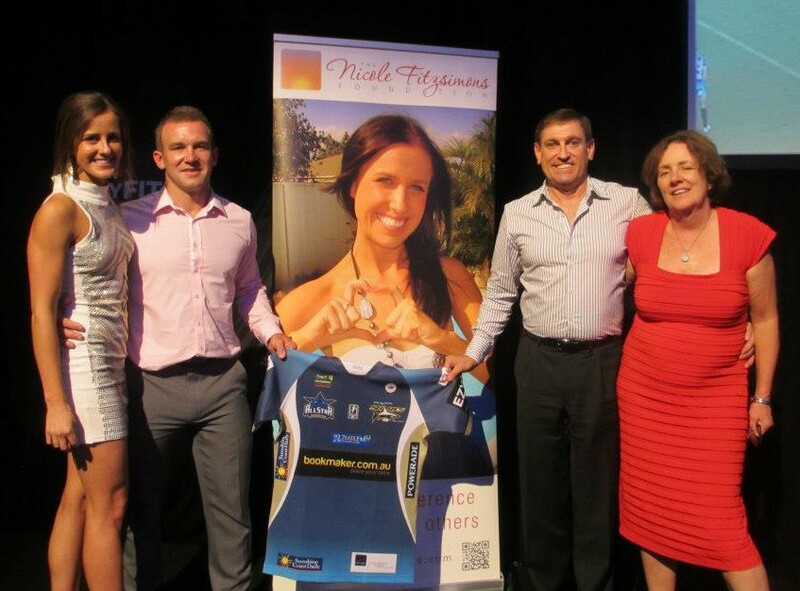 Kate’s travel safety speech at the Gala Dinner after the match was met with overwhelming support by everyone who attended and we raised over $5,000 through silent auction items. The Foundation would like to sincerely thank Jamie Blackwood, Nick Paterson and the rest of the team at All Star Events for inviting the Foundation be a part of this wonderful event, we hope to involved for many years to come. 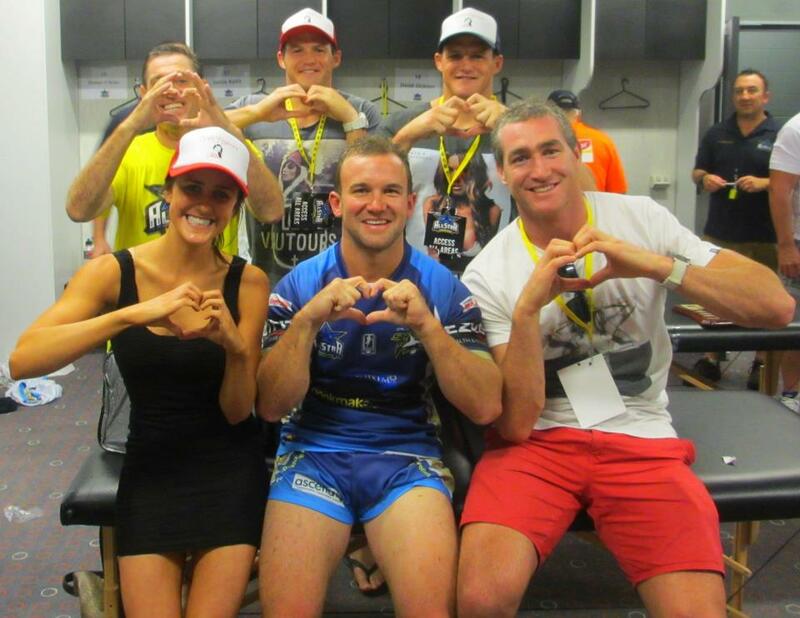 Thanks also to Brett and Josh Morris and Chris Houston for accompanying Jamie and the family up to the Sunshine Coast. We are very fortunate to have your support.